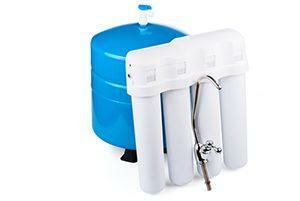 Are you looking for water filtration systems? Water filtration is a method of purifying water as early as 2000 BC. Today, filtration is a process whereby filters are allowed to remove many contaminating substances over and over again through absorption. 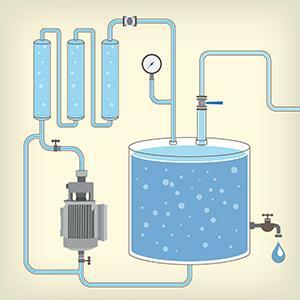 Generally, water goes through many stages of filtration so that at each phase removes as many contaminants as possible. After these stages, water becomes ready for drinking and other domestic use. This method of purification is widely used in homes, commercial and sea use respectively. Unlike the Reverse Osmosis, other water filters are limited in the number of contaminants they can remove because they use other chemical absorption processes. Also, water filtrations can remain insignificant remnants of healthy minerals for the body’s consumption. E.g. ion. How the membrane filter works by the reversed pressure being greater than the osmotic pressure to exert towards the high concentration of the water flow. This is called reverse osmosis (abbreviated RO). This reversed flow produces pure water extracts from the salt solution since the membrane is not permeable to salt. This method is one best method that can remove the most threatening contaminants that are inimical to health which might have escaped from the public treated sources flown through pipes to our homes. These substances or pollutants are the stubborn protozoans which are responsible for the spread of epidemic decreases over the years. 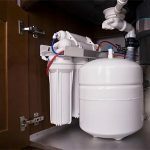 Get quality watermaker parts and full components installed in your homes, commercial bases or anywhere you need to be purified water. Our various products are of high standard, recognition, value, quality, commendations and recommendations by engineers and field workers across the country and over the world. AT SEA-RO we have various products in the categories of marine products, industrial products, land-based, brands with innovation and high-tech controls.